As the years go by, we see fewer and fewer of the "cookie-cutter" ballparks that were built in the 1960s and '70s. Parks like Shea Stadium (Mets) and Riverfront Stadium (Reds) have been bulldozed for ballparks that have subtle nuances like Minute Maid Park (Astros) and AT&T Park (Giants). It took Camden Yards in Baltimore to help people realize that originality and atmosphere still had a place in the baseball universe. What does this have to do with uniforms? Well, as the saying goes, "Those who cannot remember the past are condemned to repeat it." In the case of stadiums, one of the motivating factors for the cookie-cutter aesthetic was that it saved costs, as the parks generally accomodated both baseball and football. In the case of uniforms, cost also plays a part. It is, in fact, cheaper to manufacture baseball uniforms when so many teams wear similar styles. While the '70s featured cookie-cutter stadiums and inventive uniforms, the opposite is true today. Pinstripes: This one is pretty self-explanatory. All pinstriped jerseys are paired with pinstriped pants. But the lack of originality, or "cookie-cutter-ness" of this template is evident in two ways. The first is color: every team that uses pinstripes, except the Rockies and Phillies, uses royal, navy, or black for the stripe color (the Rockies use purple, and the Phillies opt for red). The second (and even more cookie-cutter) aspect is the spacing of the stripes. 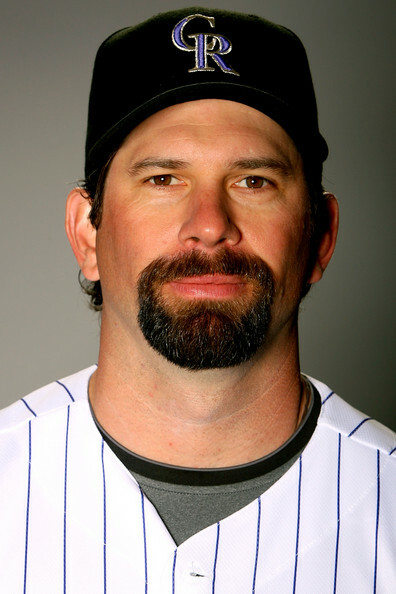 I was very disappointed when the Mets unveiled the new 2010 home alternate uniforms because wide-set pinstripes would have given the team a unique look with a throwback feel. 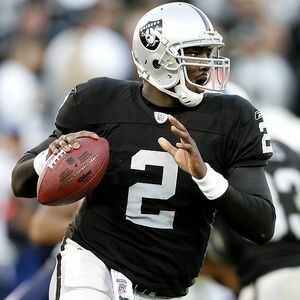 Plain: This style is extremely overused (especially compared to the NFL, where only two teams use "plain" jerseys). Currently, seven teams (Blue Jays, A's, Cardinals, Red Sox-away, Cubs-away, Astros-away, and Dodgers-home) use the plain uniform, and that is only counting the primary options. To me, the plain uniform seems like a lost opportunity for design. The Cardinals' uniforms of the '60s are a great example of this, as they featured a unique placket piping scheme with a stripe running down each sleeve connecting the placket and sleeve trim. The A's used to wear vests that showed off more of their signature green. The Blue Jays used to be a poster child for innovative uniforms before they unveiled the current conservative duds. Placket Piping: Placket piping is a fairly common style with a few variations. The Tigers, Mariners, and Red Sox (home) sport the minimal requirements for this category. 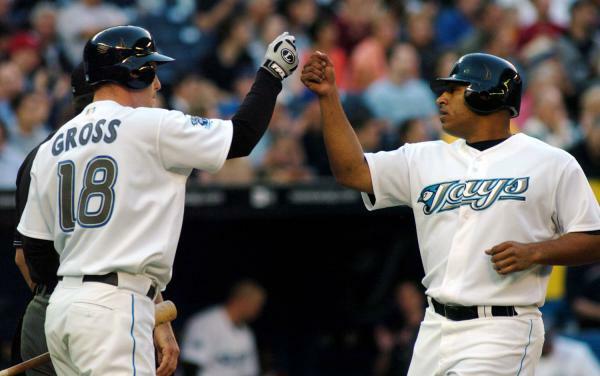 Other teams, such as the Rays and Mets add a simple sleeve trim to the style. The Braves current uniforms have the most distinct version, with three stripes sandwiched together on the placket and sleeves. Placket piping could include other variations if teams simply looked into their history (see: Cardianls above). 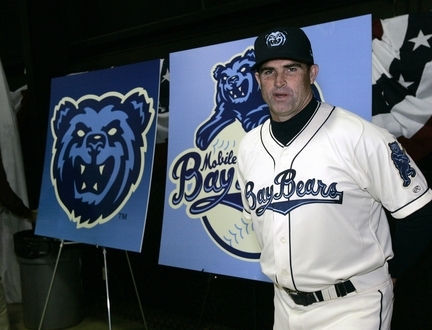 For example, the Red Sox previously had a version of the style similar to what the Mobile BayBears recently unveiled. Sleeve Trim: This is the style of the Milwaukee Brewers and many other teams. There are multiple options within this category including simple, compound, on-the-cuff, and off-the-cuff. As of late the compound, off-the-cuff style has made a resurgence. 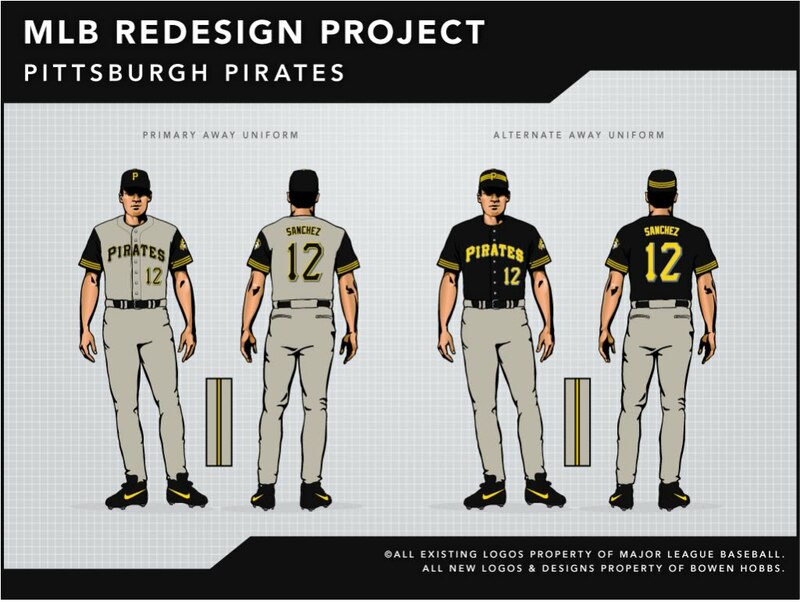 Like the placket piping style, sleeve trim jerseys are usually paired with pants that feature the striping style running down the leg. This style could also be expanded if teams decided to adopt unique patterns, such as the Rangers' two-stripe pattern. Teams could also incorporate patterns or unique shapes with their sleeve trim to create a unique one-of-a-kind look that MLB sorely lacks. Vests: The vest style peaked in the '90s, with the pinstripe fad. One of the main benefits to the vest option is that it allows the team to show off more of a signature color. In addition, the vest option can be paired with pinstripes, trim, or piping. The vest is generally a great option for teams in hotter climates. Faux V-Neck: The newest style that MLB has mass produced, it is the adaptation of an '80s classic for today's button down jerseys. Since the Giants debuted the style in 2000, a number of teams have adopted it. With the exception of the Angels, the style usually consists of a three-stripe trim. It will be interesting to see if a team takes a chance and expands on this style in a unique way. There are a few styles from the Golden Era of originality that I believe are due for a comeback. For example, if a team adopted the contrasting raglan cut sleeves that Hank Aaron graced in the '70s, they would enhance their brand with instant recognition. 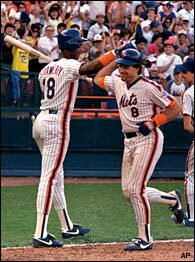 The Mets could give fans a taste of past glory by reintroducing the classic '86 racing stripes. 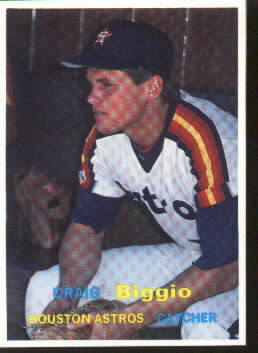 One of my favorite baseball uniforms is the late '80s/early '90s Astros uniforms. Another team could reach way back into the history books for the contrast placket style. And to think, I haven't even begun to discuss how teams could adopt more original caps. This week is another "Double Play" design post. Starting with the Brewers' current opponent, the Pittsburgh Pirates. I have tweaked the logo set to eliminate the superfluous red, and transition the pirate head logo into a more concise color scheme. The home uniforms begin with a cream-colored base, to give the look a little extra age. 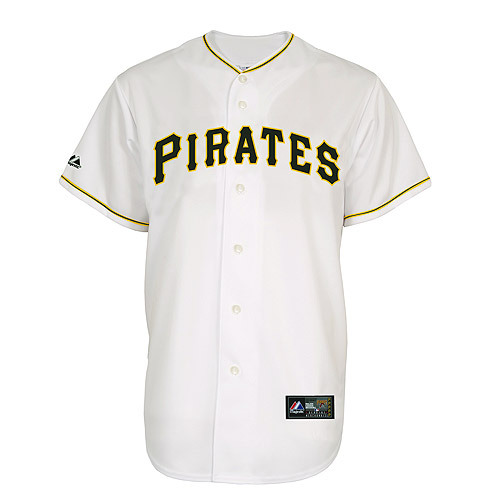 The primary home and road jerseys feature vests and a triple stripe pattern on the undershirt unique to MLB. 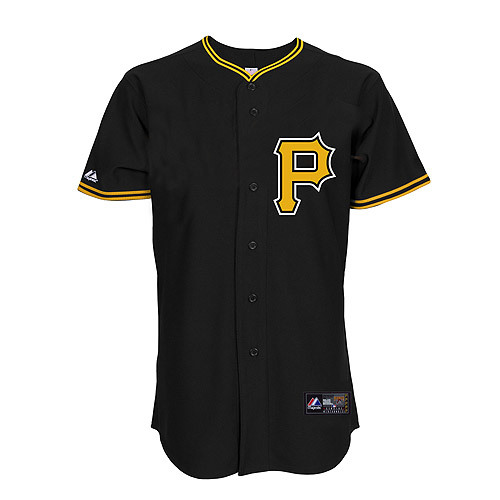 The black alternate jersey carries over the striping pattern and adds it to my adaptation of the classic pillbox caps the Pirates sported in the '70s. The away uniforms feature a warm grey base to complement the yellow in the scheme. The Sunday Alternate places the triple stripe across the chest, in addition to the sleeves, and is paired with a yellow version of the pillbox hat. On deck, we have the Colorado Rockies. I have placed an emphasis on purple and light blue, giving the Rockies a unique scheme in MLB and all of sports. The primary logo features a mountain with a low-angle perspective and ROCKIES underneath it. The secondary logo is based on the Colorado state flag, complete with mountains and a baseball in the center. The tertiary is a partial of the secondary. The jerseys feature what I like to call "mountain trim". The ROCKIES wordmark appears on the home jerseys, while the COLORADO wordmark is emblazoned across the chest of the away sets. Speaking of the away sets, they feature a powder blue base. 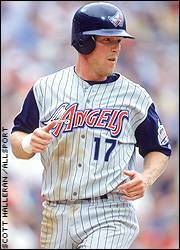 The tertiary logo appears as a sleeve patch on all of the jerseys except the Sunday Alternate, which features powder blue caps and pinstripes. The Sunday Alternate makes use of the secondary logo as a patch and features the mountain trim with a twist. 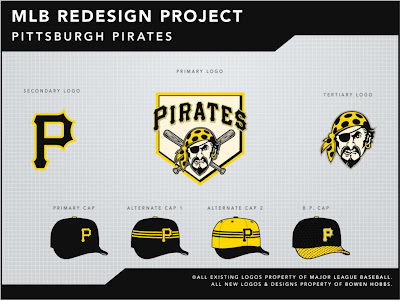 Feel free to leave a comment regarding templates in baseball uniforms, the concepts above, or anything sports branding related. Great column. Unfortunately, lots of dead links, but well done. One thing I need to point out: what you refer to as the faux v-neck is neither a new style nor an attempt at mimicking the 80's v-necks. In fact, this style has been around for a long time and is just as traditional, if a little less common, than the piped placket. Hey this is a really well put together page. The Rockies revamp would look KILLER if the current black and purple color scheme was kept...I mean, when a team has generally feminine color like purple, it really loses its intimidation factor when its matched with an even more feminine "powder blue"... But as secondary colors to black, either one of these would work just fine. Anyway just my opinion! :) Other than that, I commend you. 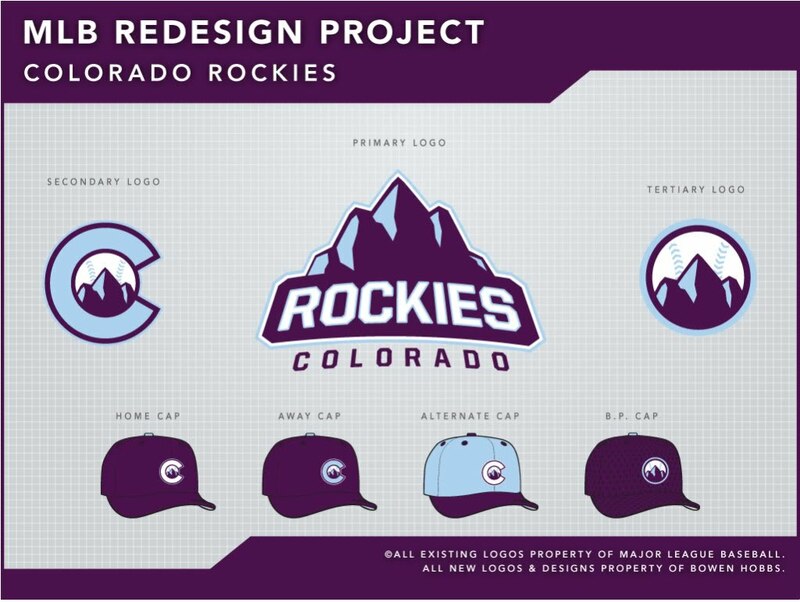 its hard to make mountains look cool as a logo, but dang that tertiary logo you've designed there is just AWESOME. I guess the fact that im a Rockies fan makes me more critical, but I really like your analysis of the "cookie-cutter" era thing...its so true, and really goes unnoticed by most...good work! 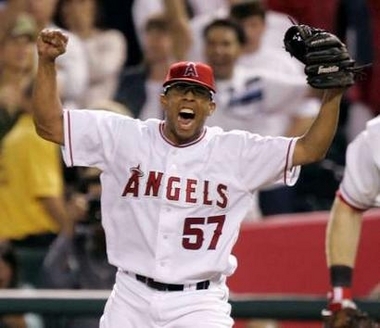 Give me real v-neck pullover jerseys and give me them now! Please, baseball, end the nightmare that is the nonsensical button-front jersey and evolve finally.